Tired of the same old taco on your “Taco Tuesday” nights? 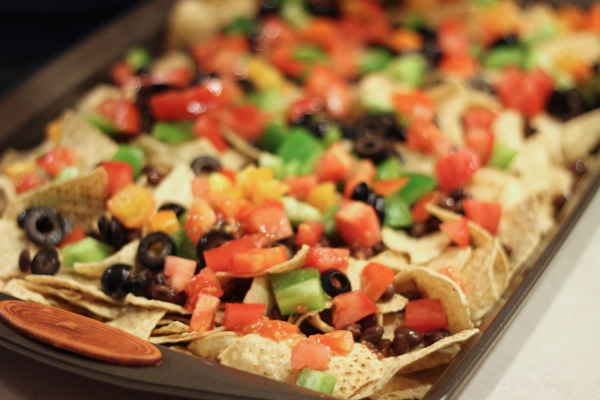 Give these easy loaded baked nachos a try! They’re bright, filling, and easy as pie! This post originally appeared on Catz in August of 2013. We’ve updated the recipe just a bit – though it’s still one of those “do whatever you want” kind of dinner ideas – and the main pictures are new as well. Though the step-by-step photos aren’t great, they are helpful, so we’ve left them in, and left the post itself alone as well. Enjoy! We like to have what most people have dubbed “Taco Tuesday” in our house. If I go a week without Mexican food, I start to twitch and shake from withdrawals. Our taco Tuesday’s don’t always involve tacos though. On a Tuesday, pretty much any kind of Mexican variety will do. 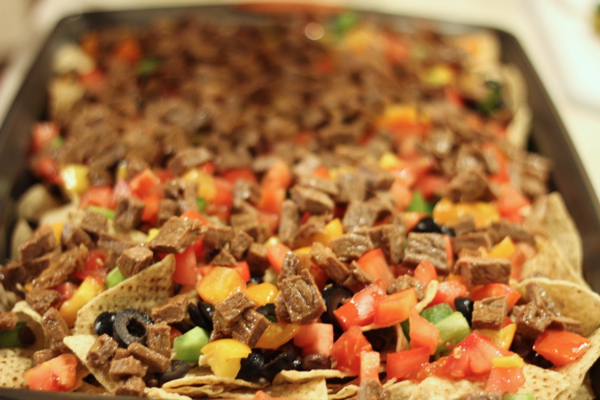 One of my family’s favorite Tuesday dinners are nachos. They are pretty quick to assemble, filling, and full or color! 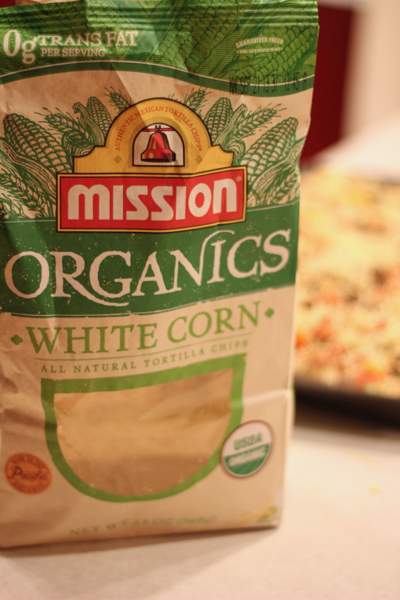 Chips are the most important component to a nacho-we really like these Mission Organics white corn tortillas. They have a really delicious flavor to them and they don’t soak up as much moisture as some other tortilla chips do. Update: While these are still great, if you have a local store that carries Juanita’s, get Juanita’s. They are wonderful. 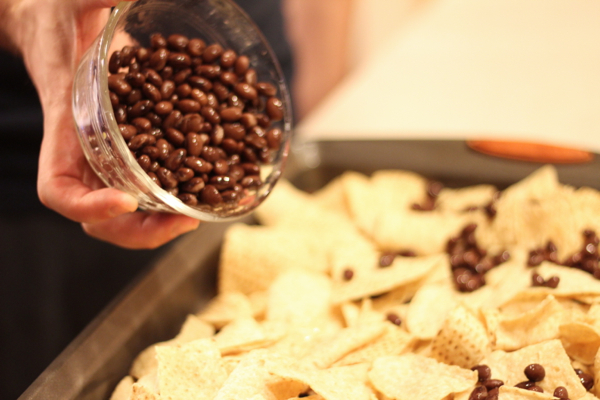 Get your largest baking sheet (with high sides) out and pour the chips onto your baking sheet. 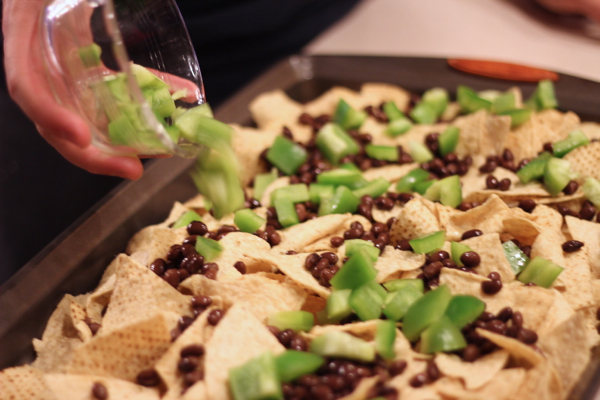 Sprinkle some chopped green bell pepper over the chips and beans next. One bell pepper is perfect! If you want something with more kick, you could add a chili pepper in its place. Evenly distribute diced tomatoes and your meat. 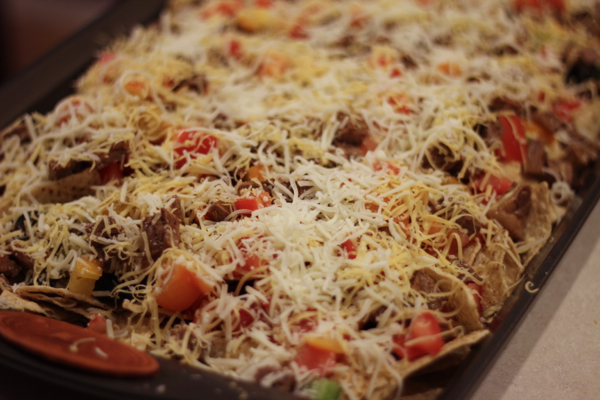 Cover with shredded cheese and stick in a 350 degree pre-heated oven for 10 minutes. 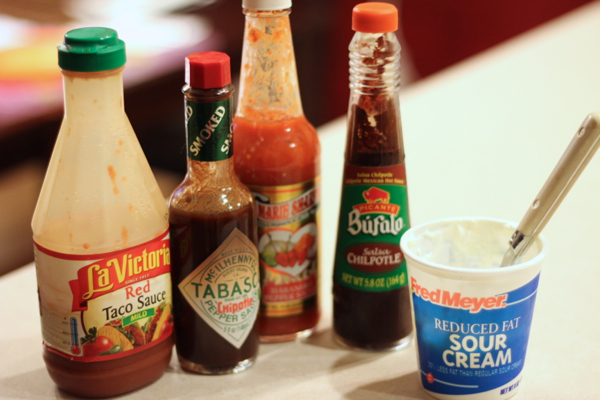 and set out your condiments. 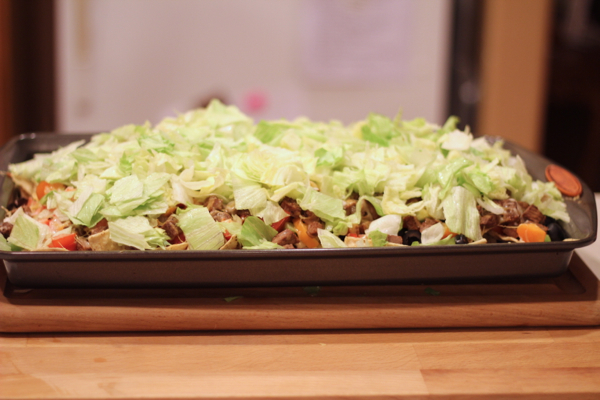 Remove from oven when the cheese has melted and cover the nacho with the lettuce. The lettuce is definitely optional. Serve up a plateful (you might want to use a fork as well as your fingers to eat this) and top it with your favorite Mexican-style condiments. This a great dinner to make when your running short on time, your kids are having their friends over for dinner, or even a game day snack! Trust me, it feeds a ton! 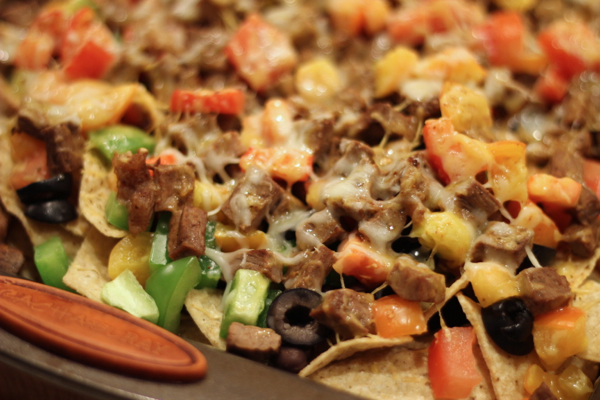 So if you need something new to try on “Taco Tuesday” give this nacho a try! Tired of the same old taco on your "Taco Tuesday" nights? 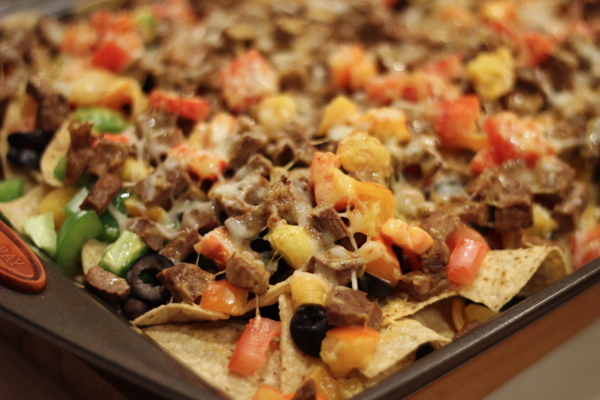 Give these easy loaded baked nachos a try! They're bright, filling, and easy as pie! Pre-heat oven to 350 degrees. 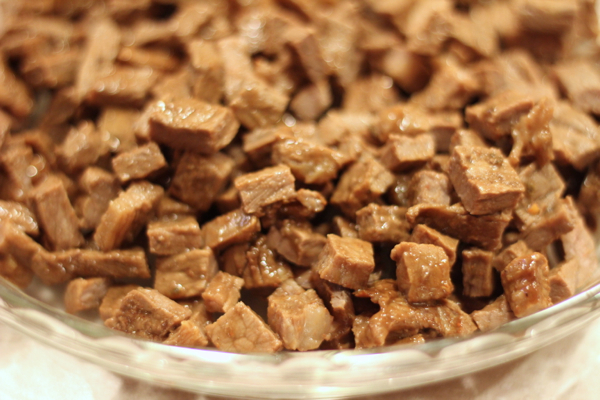 Cook, brown, shred and season any meat toppings you are using. Set aside. 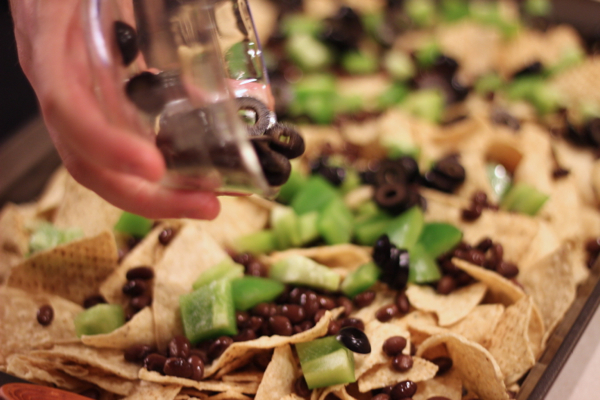 On a large baking sheet with sides, pour the tortilla chips out and spread them around evenly. 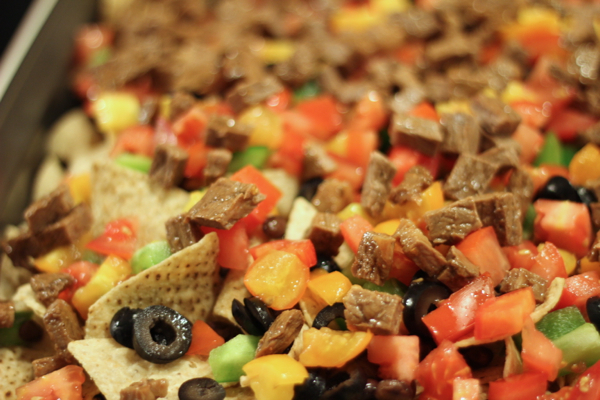 Top the chips with beans, bell pepper, olives, meat, tomatoes, and cheese. Place baking sheet in oven and bake for about 10 minutes, or until cheese is totally melted. 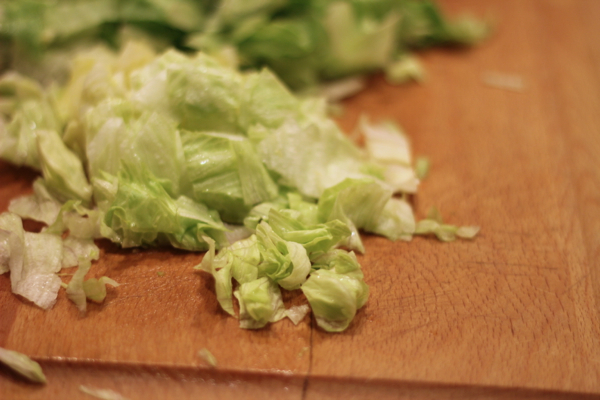 Remove and optionally top with chopped lettuce and condiments. Serve warm. My family would love the steak that's in this recipe!! I must make this sometime soon! We love our Mexican food too!